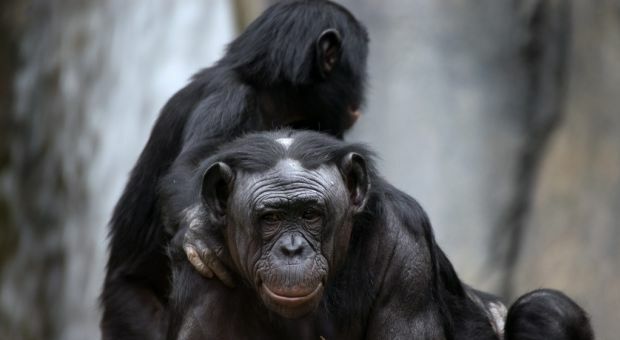 Bonobos are a female-dominated and peaceful species of great apes. But they are on the brink of extinction in the wild. As part of our ongoing Environmental Outlook series, we examine lessons from bonobos and efforts to save them. Vanessa Woods A research scientist, journalist and author; her new book is "Bonobo Handshake." Richard Carroll Managing director of the Congo Basin for the World Wildlife Fund. Sally Jewell Coxe President and co-founder of the Bonobo Conservation Initiative.